St. Francis de Sales devoted three chapters of the Introduction to the Devout Life to explaining the virtue of poverty. Regarding material possessions, St. Francis de Sales wrote, “My child, our possessions are not ours. God has given them to us to cultivate, that we may make them fruitful and profitable in His service, and so doing we shall please Him. The saint pointed out, “There is a wide difference between having poison and being poisoned.” A Christian who uses material things with the spirit of detachment would not be harmed by the possession of wealth. Reason and faith tell us that wealth is not an end, but a means given us by God to provide for our needs and those of our neighbour. Moreover, riches pass away with time; we cannot take them along with us to the next world. Christ Himself joined the exercise of charity to that of poverty by saying, “Sell what you have and give it to the poor” (Mt 19:21). The most effective way of detaching ourselves from riches is to invest our wealth in the bank of heaven by giving generously to the poor and to good works. “So do not worry; do not say, ‘What are we to eat? What are we to drink? What are we to wear?’ It is the gentiles who set their hearts on all these things. Your heavenly Father knows you need them all. Set your hearts on His kingdom first, and on God’s saving justice, and all these other things will be given you as well” (Mt 6:24-33). We should seek security in God and not in wealth. This entry was posted in St. Francis de Sales on March 21, 2014 by fatheranthonyho. A spiritual author wrote, “Chastity is rightly called the angelic virtue, because it likens us to the angels, who are pure by nature. It is an austere virtue, because we do not succeed in practising it unless we subdue the body and the senses by mortification. There are two kinds of chastity: continence proper to the unmarried, and conjugal chastity proper to persons living in lawful wedlock. Regarding the first kind of chastity, St. Francis de Sales wrote, “The unmarried need a very simple sensitive purity which will drive away all over-curious thoughts and teach them to despise all merely sensual satisfactions. Father Gabriel of St. Mary Magdalen wrote, “One who embraces the married state becomes a collaborator with God in the transmission of life to others; one who consecrates himself to God by a vow of chastity becomes his collaborator in the transmission of the life of grace to others. The saint defined chastity of heart as a complete renunciation of all illicit affections. The other aspect of chastity of heart consists in the purity of intention of seeing God in all things and all things in God. Prayer and work help the heart to be pure. St. John Bosco urged young people to avoid idleness. When we are absorbed in study or work, our mind can be filled with wholesome thoughts. 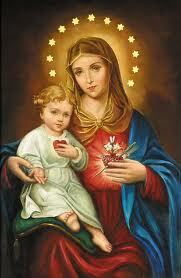 Frequent confession, love for the Holy Eucharist, and devotion to Our Lady fill our heart with love and devotion. They are effective means for the preservation of chastity. Mortification of the heart is also very important. The saints exhort us to mortify the imagination and to abandon useless day-dreaming. “In loving you, O Christ, I am chaste; in touching you, I am pure; in possessing you, I am a virgin!” said St. Agnes. St. Francis de Sales devoted a chapter in his Introduction to the Devout Life to the virtue of obedience. He wrote, “Charity alone leads to perfection, but the three chief means for acquiring it are obedience, chastity, and poverty. The saint pointed out that there are two kinds of obedience, one necessary, the other voluntary. Obedience to lawful superiors is necessary obedience, whereas obedience to a confessor or spiritual director is voluntary obedience, for we do not choose our own sovereign or bishop, father or mother, but we do choose our confessor and spiritual director. St. Francis de Sales recommends that we have a submissive spirit not only to superiors, but to equals and inferiors as well. Bishop Jean Pierre Camus, a friend of St. Francis de Sales, wrote, “Because we are obliged to acknowledge our superiors as our masters, submission to them is better looked upon as justice rather than humility. St. Maximilian Kolbe wrote, “God, Who is all-knowing and all-wise, knows best what we should do to increase His glory. Through His representatives on earth He continually reveals His will to us; thus it is obedience and obedience alone that is the sure sign to us of the divine will. Another spiritual author wrote, “We need not hesitate through fear that the superior is asking something less perfect. Even if he commands what is objectively less perfect than its alternative (for instance, to take some rest instead of working), it would nevertheless be the more perfect thing for us.